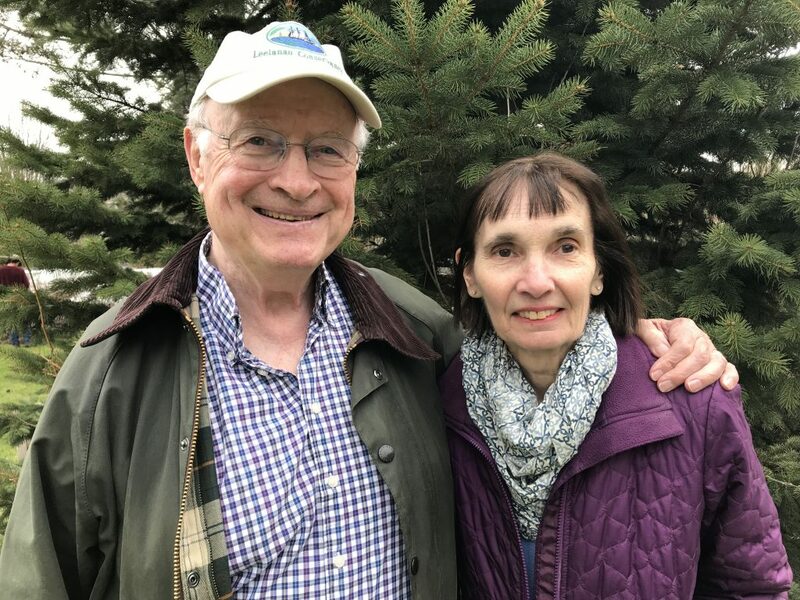 Published in Fall 2018 Newsletter–Years ago, Bruce and Betsy Wagner considered themselves to be “die-hard New Yorkers.” They never dreamed they would leave the city, move to Michigan and spend their retirement years in Leelanau. But life has a way of twisting and turning, and this is the story of how the Wagners came to love Leelanau, and how their passion for protecting it for future generations led to their planned giving. It was a glimpse into their future in some ways. Betsy pursued an arts education at Wells College and became a lifelong lover of music and a viola player. After graduation from Dartmouth, Bruce earned an MBA at the Wharton School, and climbed the ladder at the global agency, Grey Advertising. Their parents were friends; and so growing up they saw each other on occasion, but eventually lost touch. One evening in 1975 they bumped into each other leaving a Broadway play. Both had launched their careers, worked abroad and were in their early 30s. They began dating and within a year, were married. Upon his post-honeymoon return to work, Bruce had a message waiting from the White House, asking him to head up the advertising campaign for Gerald Ford’s primary run. Bruce took a leave of absence from Grey and they moved to D.C. for a year. After that came an opportunity to manage Grey’s Detroit office. “We weren’t keen on leaving Manhattan, but agreed that we could do anything for two years,” says Betsy. Just before the move, daughter Sage was born, and their Leelanau story began. The family took a road trip to Mackinac Island and meandered back along the west side of the state, and stayed at The Homestead. “We were blown away, stunned,” says Bruce. 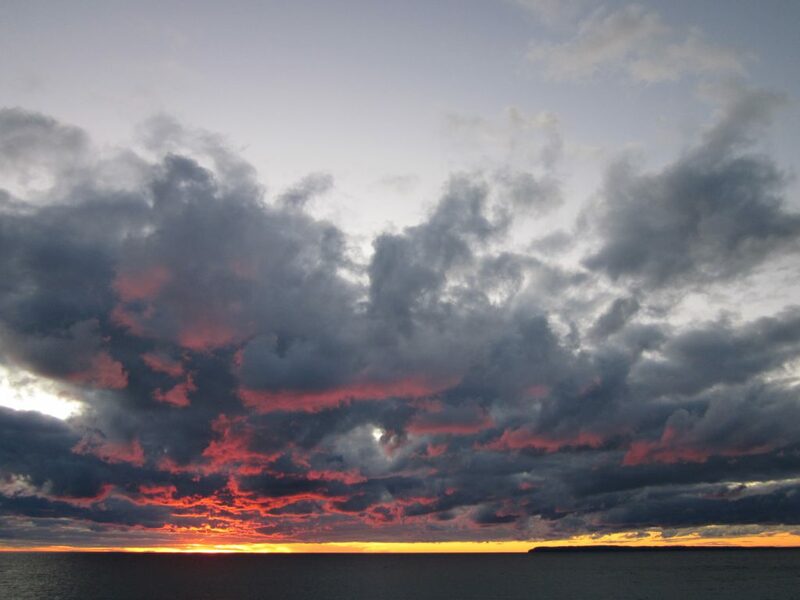 “We fell in love with Leelanau, and Glen Arbor,” adds Betsy. They soon bought a condo at the Homestead. Because Betsy’s family had a summer cottage on an island in Canada’s Muskoka Lakes, they spent more winter vacations in Leelanau than summer. After her parents died and the cottage was sold, “We became very Michigan centered and Leelanau became the go-to place,” says Bruce. Eventually they sold the condo and built a home nearby on Sleeping Bear Bay and Sage and brother Alex spent endless hours on the beach with their cousins. The more time they spent in Leelanau, the more important it became to them. “We became a part of it and met people and realized this is where we wanted to be,” says Betsy. After Bruce retired, they moved north in 2005. Soon after, he began volunteering with the Leelanau Conservancy and joined the board in 2009. Betsy devoted her energies to the Glen Arbor Art Association. As always, the Leelanau Conservancy recommends you consult with your financial and legal advisors.